By car, by bus, by bike – choose how to get here, pull into the town and look out to our beautiful island, set in the sweep of Mount’s Bay. 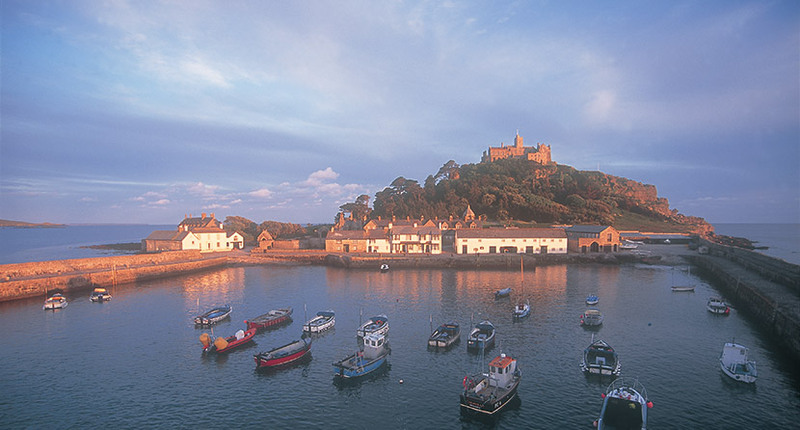 Walk out across the cobbled causeway or hop aboard a boat and in minutes you’ll be here. 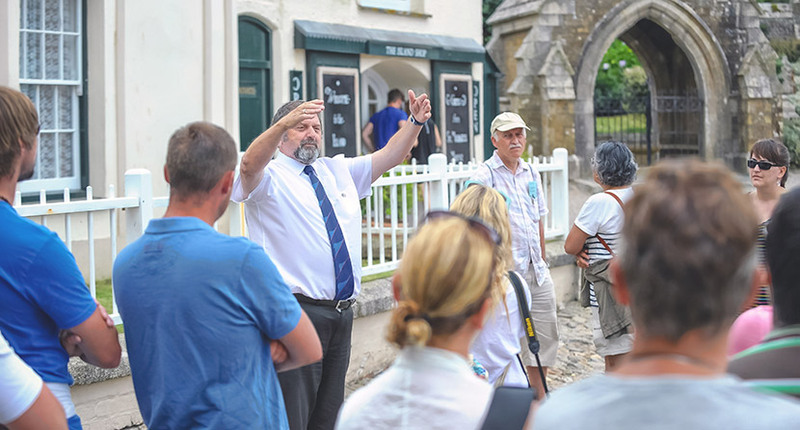 From guided tours to tide times, work out when to come and what to see to make the most of your visit. The clash of the portcullis and the hatching of plans in the study, the tolling of bells in the ancient priory and the hustle and bustle of the servants’ quarters. 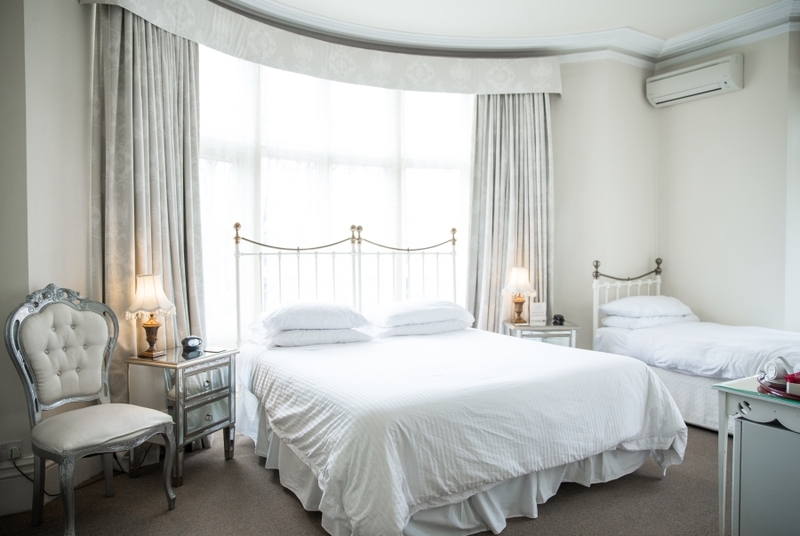 With shades of the past in every room and new discoveries waiting around every corner, dig deep into the Mount’s history, experience a different kind of family home or simply let your imagination run wild. Stoop through ancient doorways and glimpse the castle’s changing faces – from priory to fort, iconic castle to family home. 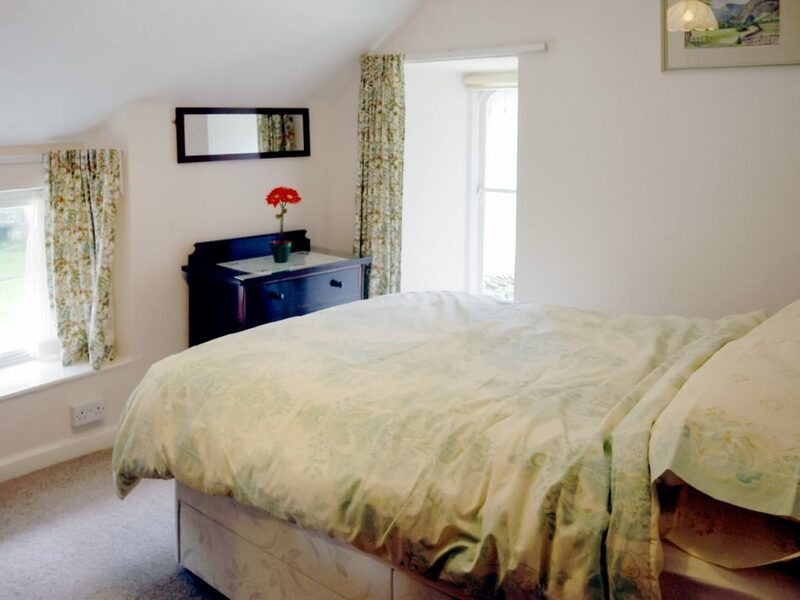 Wander century-old corridors and unravel the history of the St Aubyn family, who have lived here since the 17th century. 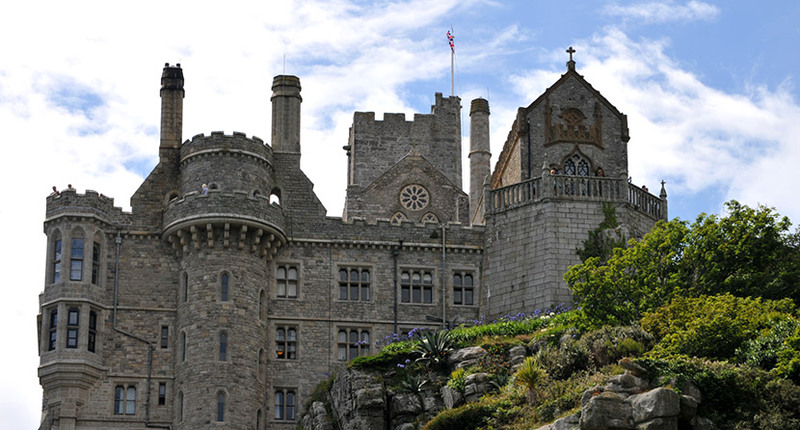 Discover treasures from the Mount’s past, from religious roots to times of siege and conflict. Where will your journey take you? A family home for centuries, our castle holds mementos, memories and moments of magic at every turn. From monks seeking solace in the priory, to HM the Queen Elizabeth II and the Duke of Edinburgh visiting in 2013, every resident and every visitor can share in the story. 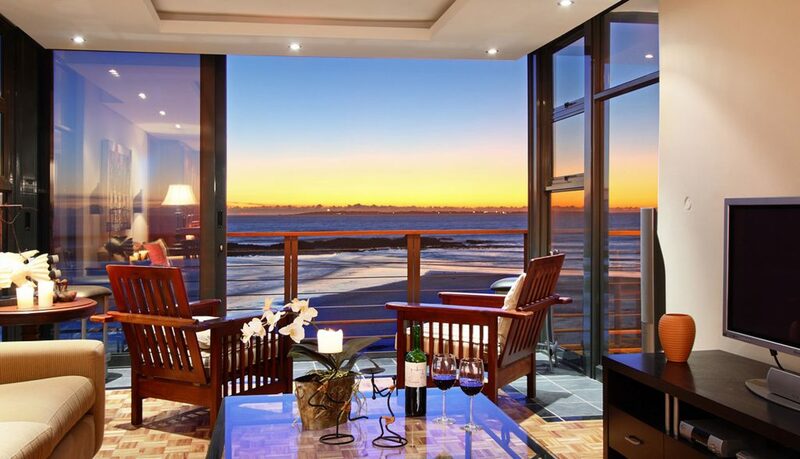 With light pouring in and views stretching out to sea, this room is a place for peaceful contemplation. Originally a kitchen, then a study, it houses an historical tidal clock. Very useful as family members planned their trips to the mainland and beyond in time with the tide. 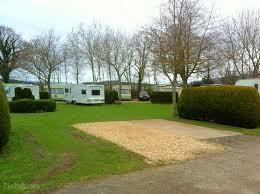 Originally part of the twelfth century monastic buildings, from 1780 you’d find the castle’s residents relaxing here. Playing intimate games of chess, draughts or cards or taking time to read from the selection of leather-bound books that still line the walls. From sparse monastic fare as the priory’s refectory to more rollicking feast days around the Captain’s table, as the Chevy Chase room became the Great Hall of the castle. Gaze upwards to the hunting scenes playing out in the plaster frieze and walk through the dappled light thrown by the stained glass windows, gathered from chapels and priories around Europe, some of the panes from as early as 1500. The Smoking Room has its own exotic treasures and stories to tell. A mother of pearl chest from Zanzibar thrown from a window of the Duke of Parma’s house, snuff boxes and gambling counters, and a date etched on a window pane by a St Aubyn daughter who wanted to check the authenticity of her diamond engagement ring before she accepted the offer. Standing strong and serene through the ages, our chapel at the Mount’s summit dates back to the 12th Century and is still used for Sunday services today. 500 year-old alabaster carvings of biblical scenes and a 15th Century granite Lantern Cross, now shelter in the safety of the priory walls. Set foot in the drawing room and savour portraits by Gainsborough and Reynolds, intricately carved busts and vases and four hand-crafted Gothick Windsor chairs made to celebrate a family wedding. Imagine Queen Victoria sitting to take tea on the sofa with the housekeeper during an unannounced visit in 1846, when the family were away. Uncover the whereabouts of mythical Cornish giants in a 16th century picture map and marvel at a model of the Mount accurately crafted from champagne corks by a family butler in the 1930s. Keep your eyes peeled for the mummified cat, one of the weird and wonderful curiosities bought back from the family’s travels to Egypt. Once the site of the priory cloister and now an elegant passageway from one side of the castle to the other. Meet the magnificent Samurai Warrior and witness armoury and weapons brought back by members of the family, or islanders, from their military service and travels around the world. 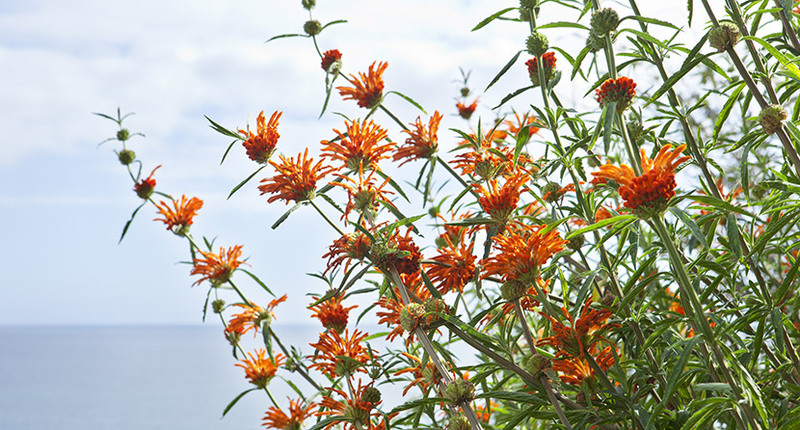 High upon the castle walls, the terraces offer up picture-perfect panoramas from Lamorna to the Lizard. 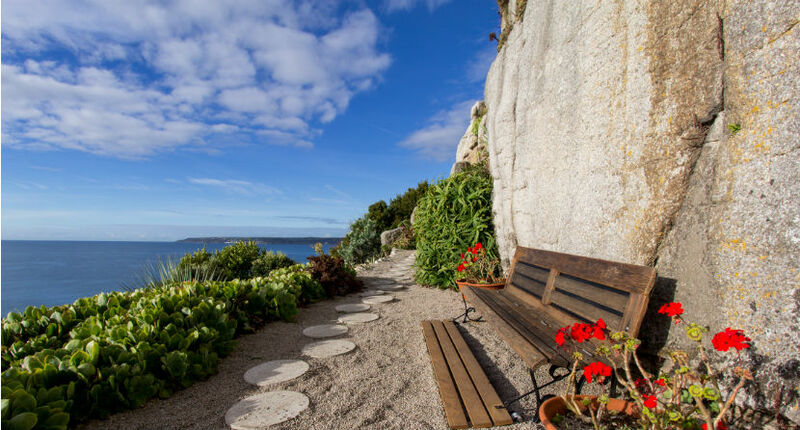 Peer over the battlements at the gardens clinging to the cliff face by the sea edge, and designed to be admired from above as well as from the ground. A hunt for a giant’s stone heart, the armour of a samurai warrior, a mummified cat and a real life castle waiting to be discovered. Watch young minds race as our island guides tell tales of history, legend and a living, breathing island. 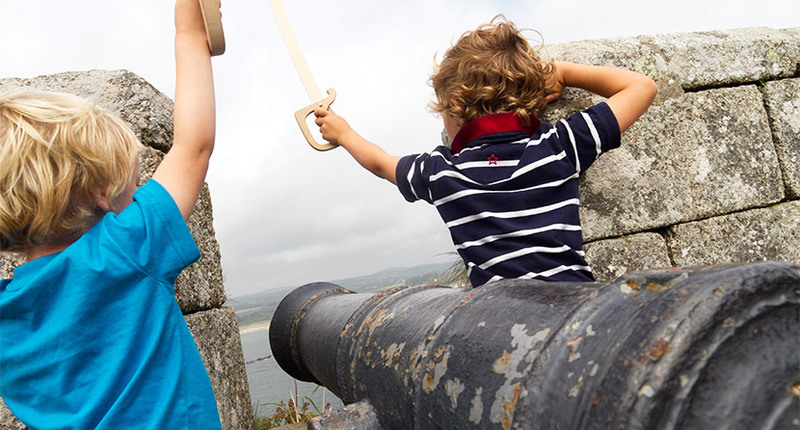 Take our castle quiz as a family and let your little ones’ curiosity engage them, as they learn what makes this castle so special. 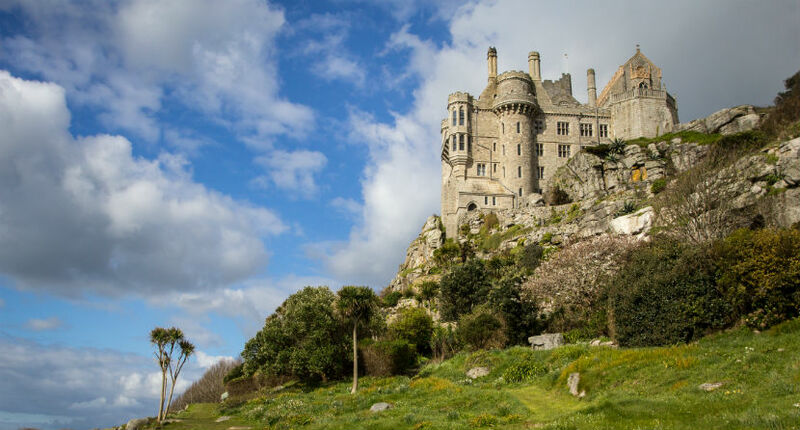 Find out when the castle is open learn more about the history of the Mount or plan your visit here today. Did you know that the island’s children take a boat to school? That the Mount once had its own dairy with cows grazing outside? Or that St Michael is the patron saint of fishermen and high places? Take a tour as a family and watch your little ones light up as they learn about our living, breathing island. Our expert guides are full of stories, legends and facts all ready to share – and they like nothing better than questions from curious minds. Climbing up or wandering around, our castle’s made for adventure. Hunt for the giant’s stone heart as you climb to the summit. Hear the history of the chapel, and the secrets that lie beneath its pews. Or keep your eyes peeled for some of the castle’s wonderfully weird family treasures – including a mummified cat or the Zanibar chest saved from a falling window. Want to dig even deeper? 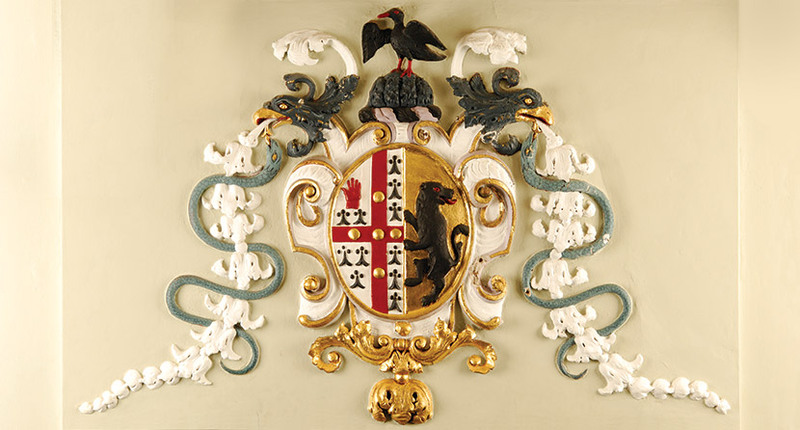 Take our quiz, seek out the clues in every room and discover what makes our castle so special. Collect a quiz when you arrive at the ticket office. 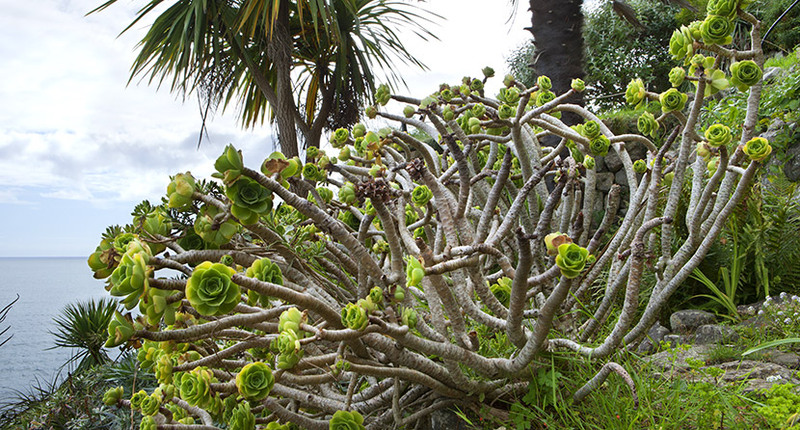 For many of our visitors it is astonishing that a garden exists here, but despite the gales and salty winds, the Gulf Stream tempers the climate so that frosts are a rarity and the rock acts as a gigantic radiator – absorbing heat by day and releasing it at night, creating a micro climate in which all sorts of unlikely plants flourish. Make your own journey of discovery through the winding pathways and steep stone terraces and unearth some of the Mount’s surprises along the way. Leave the village behind and step through the garden gates onto the island’s Laundry Lawn, where green grass meets the blue Atlantic. Throw your picnic blanket wide, or wander to the wartime pillbox at the sea’s edge – where soldiers once kept lookout for German aircraft in World War II. Stand back and take in your first glimpse of the garden, nestled beneath the castle’s walls. Wend your way along the grass avenue flanked by kniphofia and cordyline to the East Terraces, falling in tiers down the steep cliff face. 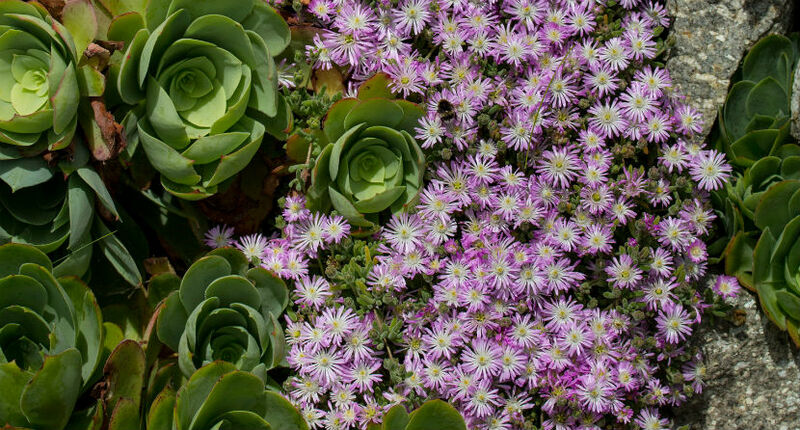 Filling the shallow terraces of traditional dry stone granite walls, you’ll see abundant blooms of pelargonium, gazanias and lithodora which thrive in the acid, free draining soil. Further up the hill, peer into the ornate garden well, where islanders once collected rainwater. 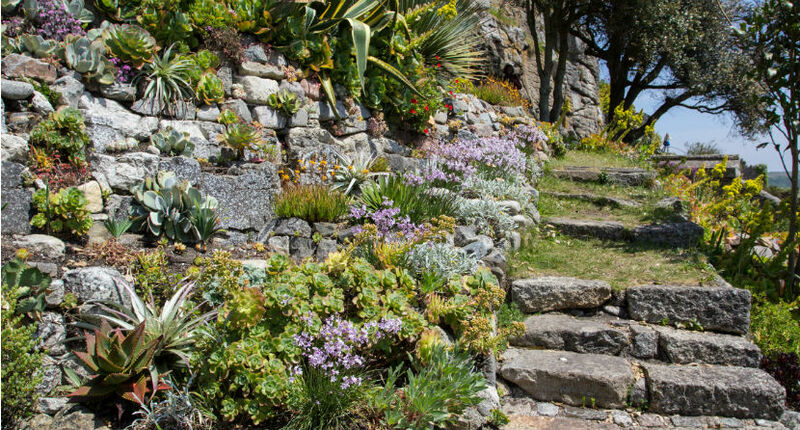 From here, trace your way to the Top Walled Garden where a strong planting of pericallis, parahebe and tulbaghia combine to make a glorious wave pattern, echoing the sea. The newly planted Middle Walled Garden will become a wash of silver from the foliage of cineraria and artemisia, broken through with prairie-style plants including pennisetum, whose delicate fronds will dance in the breeze. Romantics can hunt out the yellow blooms of the medicago plant, plucked and placed into the wedding bouquet of the first Lady St Levan. Its cuttings have been used in family bouquets ever since. Step on down to where the gardens brush the coastline. Here you’ll find the Bottom Walled Garden where bay, ajuga, tradescantia and fuchsia vie for attention in a perfectly formed, but often overlooked, corner of the garden. The West Terraces harbour some of the hottest spots in the gardens, with recorded temperatures reaching 40C+ as the granite pumps out its accumulated heat and the sun beats down. 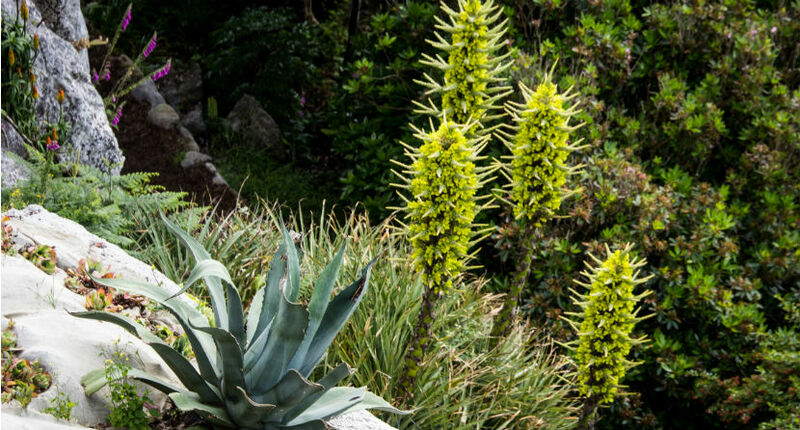 A giant agave rubs shoulders with leucodendrum, aeonium, aloes and ginger lilies. At the very top, the Seagull Seat is the perfect vantage point to gaze out at the horizon, as well as being a place where lovers once met, hidden away from the castle’s watch. Discover the species and uncover the stories that makes our garden unique – pick up a leaflet from the ticket office, or listen to one of our gardening team talks every day at 1pm when the garden is open. Children can learn more about the sub-tropical species of the garden as they follow the clues of our I Spy card. Pick up a copy of our I Spy card at the garden entrance. Want to take home a slice of our garden sanctuary? 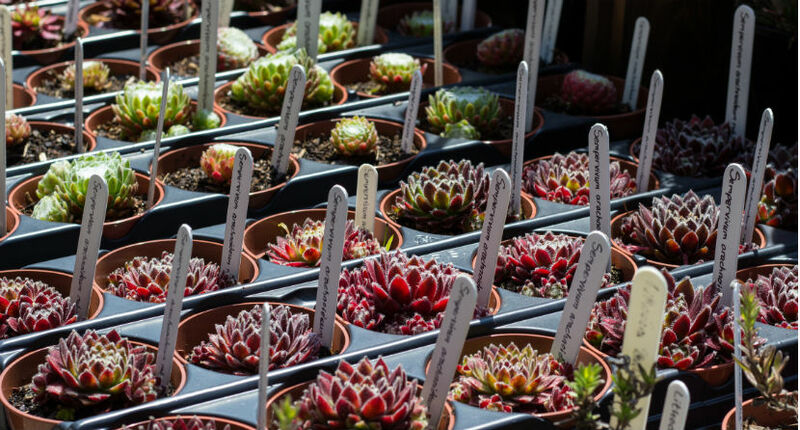 Our plant sales shop sells a selection of plants to please the most green-fingered visitors. 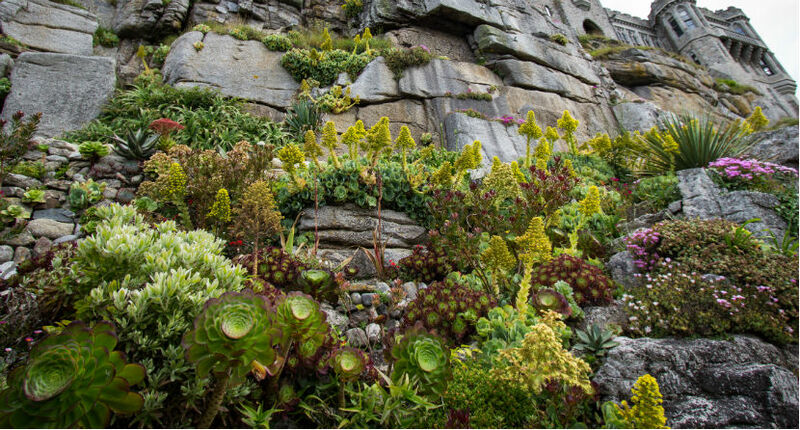 Worn stone walls harbouring a multitude of succulents, towering rocks rearing up above you with granite ledges bursting with colour. Our garden might be rooted in history, but it is full of vitality and life. 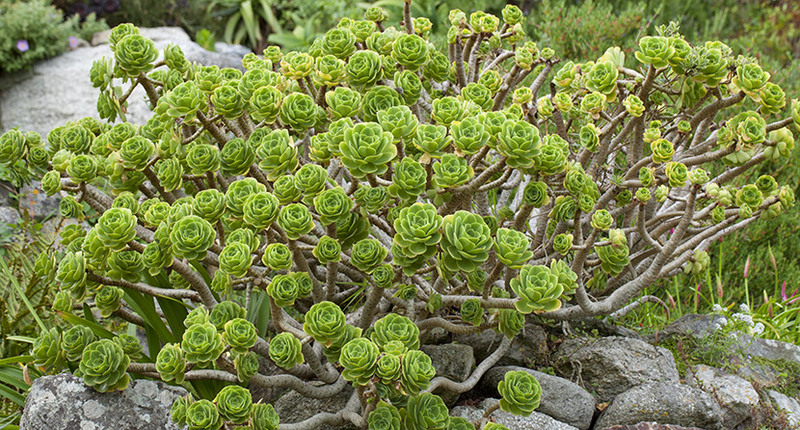 Discover their unique past and how our gardening team maintains and refreshes the garden today. In 1780, the four Miss St Aubyns, daughters of the 4th Sir John, initiated the building of the Walled Garden in red brick. This delightfully intimate and domestic space, with a summerhouse for quiet contemplation, is full of interest and colour. 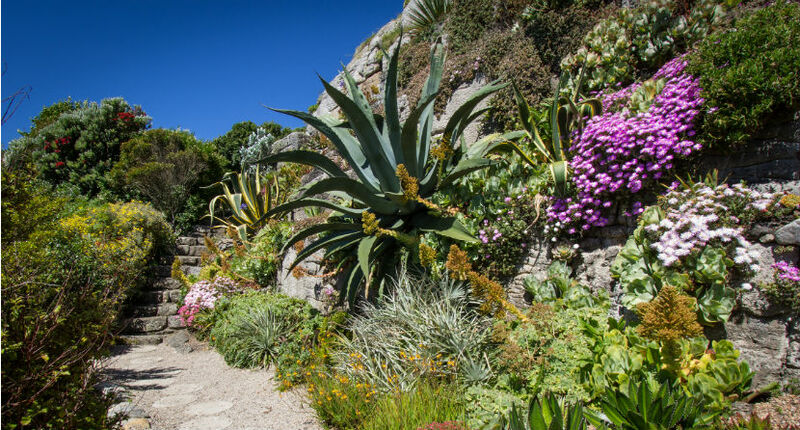 The Victorian East and West Terraces are more exposed to the elements, but are home to spectacular plants – the orange exotics of kniphofia and strelitzia reginae, the unusual blooms of erythrina and echium and the Jurassic looking puya and fascicularia. One of the most dramatic views out to sea is from the Tortoise Lawn, where the 3rd Lady St Levan kept her tortoise for many years during the 1960s. 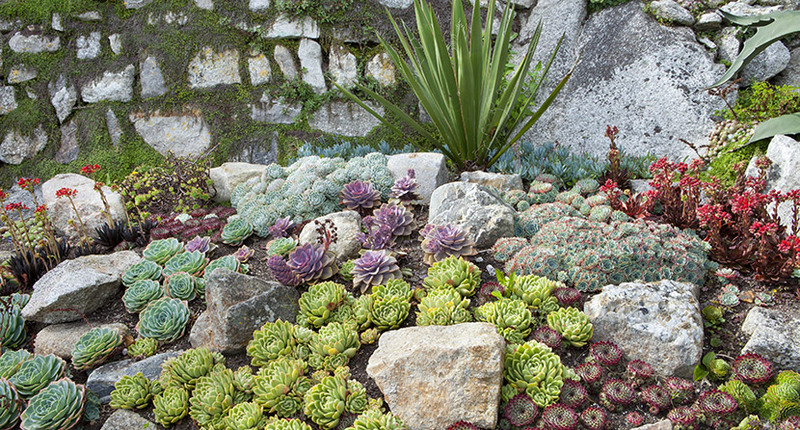 Bright and striking, subtle and serene, the Mount’s collection of species shipped from far-flung Mexico, South Africa and beyond cling to the rock, a tapestry of textures and colours offering a botanical bounty like no other. Marvel at the colours around you and breathe in the heady scent of rosemary, coronilla and lavender as it drifts on the breeze. Drawing on its unique microclimate, garden designer Michael Harvey, alongside Lord and Lady St Levan, consider every corner of the garden, giving each section its own individual lease of life. 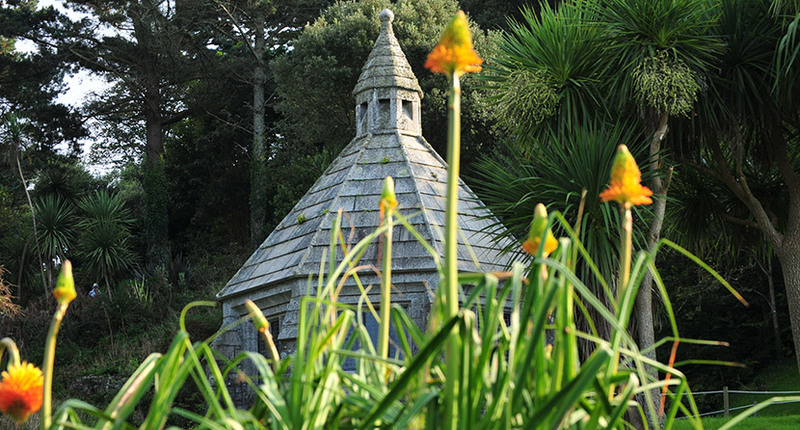 A bold recipe of colour and form, with many plants dramatic enough to be appreciated both up close and high above from the battlements, the design remains sensitive to the garden’s most crucial element – the granite resting at its heart. Absorbing heat over the day and releasing it by night, granite is the lifeblood of the Mount’s garden, creating a unique environment that even the most unlikely of species can thrive in. Our Head Gardener, Lottie Allen, and her team of three work in all weathers to care for the garden and surrounding landscape. With skills ranging from propagation to pruning to abseiling down the rockface, the team enhance the garden’s unique atmosphere and beauty. 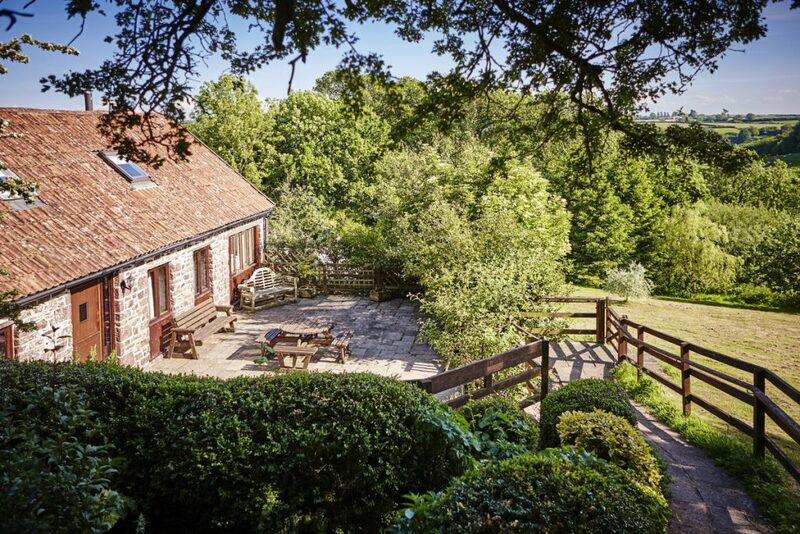 The Mount garden was designed for domestic enjoyment. Now the garden attracts over 65,000 visitors from April to September. To safeguard the delicate tapestry of paths, terraces and steps from too much erosion, we have to restrict the number of days that the garden is open. 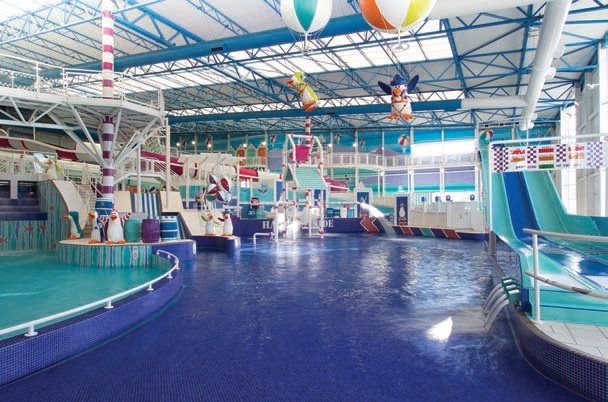 Ask at the ticket office for more information or visit our What’s On page for further details.